The Oregon Department of State Lands (DSL) is currently reviewing multiple applications for the Jordan Cove LNG terminal and Pacific Connector Gas Pipeline. The applications include requests for easements to build the Pacific Connector Gas Pipeline through Coos Bay. Because the State of Oregon owns the submerged lands in the pipeline route, either the Department of State Lands or the State Land Board can deny the Pacific Connector Pipeline. The State Land Board is comprised of Governor Kate Brown, Secretary of State Jeanne Atkins, and Treasurer Ted Wheeler. 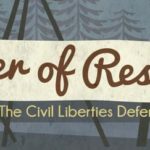 On Tuesday, December 8th, activists will attend the State Land Board meeting in Salem to send a message to Oregon’s top elected officials about why Oregon should reject LNG. Assemble at 9am outside the Land Board meeting, gather at 9:30 AM for a brief media event. Carpooling from Portland to Salem: 503-705-1943. Please contact by 9PM on Dec 6. This map shows the proposed route of the Pacific Connector Pipeline Through Coos Bay’s Haynes Inlet. Pacific Connector seeks an easement through state-owned submerged lands for the pipeline from Oregon Department of State Lands. The Land Board will not be taking public comment about LNG, which is not on the agenda. However, we will send a message with our presence that the State of Oregon should use all of its authority – including its proprietary rights – to protect Oregon from destructive LNG projects. Our attendance will also support local oyster growers and private landowners who will be traveling from Coos Bay to convey their concerns to the media and the Department of State Lands. We already know that the Jordan Cove LNG terminal would be the biggest greenhouse gas polluter in Oregon, so it clearly conflicts with the best use of state resources. For this reason, Oregon Department of State Lands (DSL) should reject all of the permits and easements for the Jordan Cove LNG terminal and Pacific Connector Pipeline. 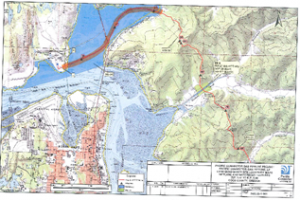 Furthermore, the Pacific Connector and the terminal would harm salmon habitat, condemn the private property of Oregon families, degrade water quality, and damage oyster beds located very close to the proposed Jordan Cove Terminal and pipeline. As a result, the project does not protect existing uses in the area, and DSL and the State Land Board should reject the Jordan Cove LNG terminal and Pacific Connector Pipeline. Together, we can persuade the State of Oregon to stand up for Oregonians against the largest, most destructive, and greenhouse gas-intensive fossil fuel proposal in Oregon. ‹ Portland City Council Passes Fossil Fuel Resolution!